All-weather waterproof full-size outdoor table in silver finish. Fitted with an impact resistant toughened glass top, optional coin-mechanism & hinged lid for extra storage capacity inside. Stainless steel bolts, zinc coated & resin treated legs & corners, furnace toughened glass playing field, specially treated framework, telescopic poles & easily detachable legs. 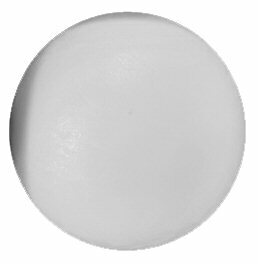 This superb all-weather waterproof full-size outdoor table in mint green & silver finish is a top-quality table for commercial, club and home use. Stainless steel bolts are used in the construction, and the legs and corners are zinc coated. This table is designed to be left out in the rain for years. 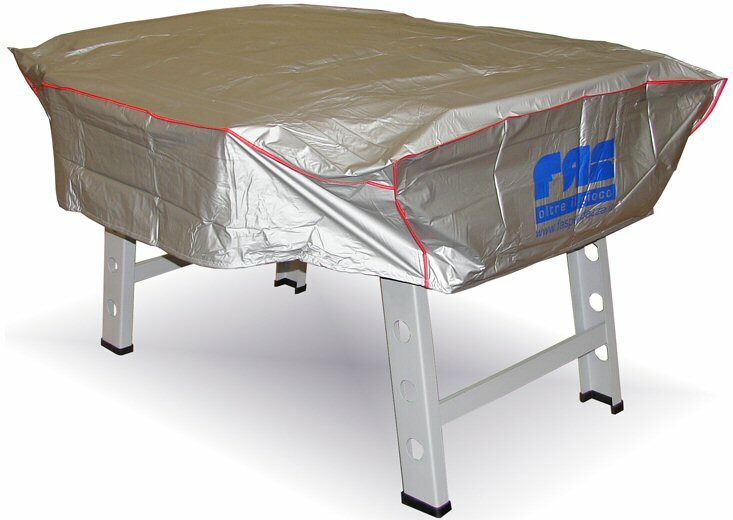 We do offer a waterproof cover as an accessory, as a means of keeping the table clean when not in use, if required. FAS ("oltre il gioco" means "beyond the game" if you're asking), recognised as being among the best football tables available. 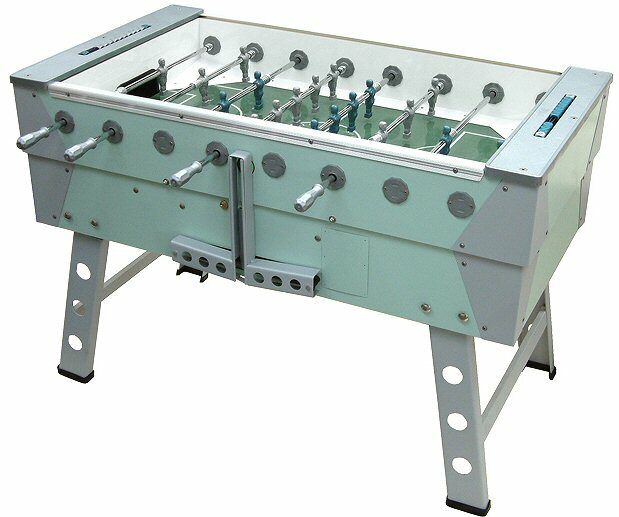 Our range starts with excellent home and club tables, and goes right up to commercial coin-operated soccer tables. Manufactured in Northern Italy, the home of some of Europe's best tables, our FAS tables are the sort that will last a lifetime, given proper care and attention. Popularity has spawned many an imitation of these fine products but FAS tables are considered the very best, and that is why they are used in pubs, clubs and bars all over Europe. In fact you may even recognise these tables re-branded as if they were made by British manufacturers - not so, these are the originals. What's more, we offer a full spare parts service in the very unlikely event that you'll ever need to repair them. Our FAS tables are delivered by courier service and you will be contacted within a day or so from the day of order to arrange a convenient delivery day with you (usually within a few days of order). Deliveries will take place usually between 9am and 5pm, Monday to Friday (excluding Public Holidays). If you need your table nextday, usually not a problem - just make your order before 12 noon and let us know that you require your table urgently.